The rent at Vera Apartments ranges from $1,260 for a one bedroom to a $2,388 three bedroom. Apartments in this building are about 32% more expensive than the Sanford average. This is a pet-friendly apartment. Vera Apartments has a Walk Score of 5 out of 100. This location is a Car-Dependent neighborhood so almost all errands require a car. Whether youre watching the sunset from your private balcony or trying out a new recipe in your spacious, gourmet kitchen, youll be proud to call any of our one, two, and three-bedroom apartments home. Explore how far you can travel by car, bus, bike and foot from Vera Apartments. Vera Apartments has minimal transit which means it is possible to get on a bus. 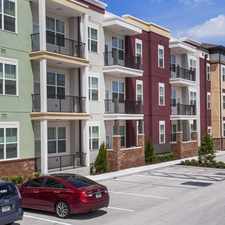 Vera Apartments is in the city of Sanford, FL. Sanford has an average Walk Score of 29 and has 53,570 residents.